It's Cyber Monday!! The online equivalent to Black Friday and a day that's anticipated to be the busiest online shopping day of 2012. And while many of you have been perusing the Internet for Cyber Monday “deals”, I’ve been checking the Internet for the media’s coverage of "Cyber Monday and taxes". Why? Well, if you’re a frequent visitor to The State and Local Tax “Buzz” or follow my contributions to the SalesTaxSupport.com blog, you're well aware that I follow (closely follow) and report on (and speak on and tweet about) “Internet Sales Taxes”. And, just as I did last year, I knew I’d be writing a "Cyber Monday – Taxes" post and wanted to see what message the media was sending this year. 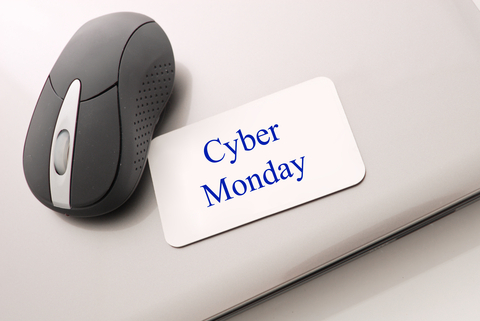 Would the media (once again) be sending the message that Cyber Monday shopping is “tax-free”? But I've got news for you Cyber shoppers - for the vast majority of you, those Cyber purchases you make today are NOT tax free! Perhaps one of the biggest myths about shopping online is that purchases made over the Internet are "tax free". Here's a statement we've all heard (or maybe even said), "I'll just buy it over the Internet and save on sales tax". Here's the reality - if you've purchased merchandise online which is taxable in your state and your Internet retailer didn't charge you sales tax, it's very likely that you still still owe tax to your state. That’s right, unless you're a resident of one of the five states that do not impose a state sales tax – Alaska, Delaware, Montana, New Hampshire, and Oregon - you, the purchaser, the ultimate consumer is responsible for reporting and paying the "use tax". Wait A Minute, I'm Supposed to Pay a "Use Tax”? That’s News to Me! I've often heard or read comments which lead me to believe that some folks quite honestly don't realize that their state requires them to voluntarily pay a use tax on their "tax-free" purchases. These comments take the flavor of "I'm supposed to pay a use tax? That's news to me! ", or "I don't know how (or where or when) to report my use tax", or "What's the difference between a sales tax and a use tax anyway?" Every state that imposes a sales tax has an equivalent "use tax". When tax is charged on the sales transaction, it's referred to as a sales tax. But when sales tax isn't charged at the time of sale and the purchase isn’t otherwise exempt, the tax that is owed is referred to as a use tax. In general, a use tax is defined as "a tax on the use or consumption of tangible personal property in a state". The same state tax rate applies whether it's charged as sales tax or paid as use tax. (However, a customer’s tax could be based on a different total rate in states which impose both a state rate and local jurisdiction rates, e.g., county, city, school district, etc.) Also, because a state decides what's taxable and what isn't, in general an item will be taxable (or exempt) regardless of whether it's purchased at the store down the road or on-line. How do you report and pay your personal use tax? If you're a resident of a state that imposes a personal income tax (all but about seven states do), your use tax is reported and paid together with your personal income tax. Of the states with a personal income tax, at least half include a line on their tax return for reporting use tax. Some states also have use tax tables in their instructions to help residents estimate their annual use tax bill. Heck, even states without a personal income tax - like Texas and Florida – have a separate form for reporting use tax. Alright, So Now I Know About "Use Tax", But I Also Heard There’s a Big Push to Pass Federal Legislation That Will Make All Internet Purchases Taxable. Once again, Internet purchases are already taxable, but because the use tax is a voluntary tax - one that many folks, even those who are aware of it, don't pay – these purchases generally escape taxation. Now, before I continue, you might be wondering why many online retailers don’t charge sales tax already. It's not because of some "special subsidy" or "preferential treatment" for Internet sellers (as some media reports would lead you to believe). It's because an Internet retailer must have a connection or tie – a “nexus” to a state in order for the state to be able to require that retailer to collect and remit its sales tax. So what IS the status of the Federal proposals? As you’re likely aware, three “internet sales tax” proposals have been introduced during the current 112th Congressional session – the Main Street Fairness Act (S. 1452/H.R. 2701), the Marketplace Equity Act (H.R. 3179) and the Marketplace Fairness Act (S. 1832). If it seems like you’ve been hearing about these proposals for a long time – you have! These proposals were all introduced back in 2011. Although all three of the proposals share the same goal – to require retailers to collect sales tax even in states in which a retailer lacks nexus – only two of the proposals, the Marketplace Equity Act and the Marketplace Fairness Act are possible contenders for passing. With only a few weeks left before the 112th Congressional session ends, the lobbying efforts by organizations advocating for, and against, these proposals are going full-steam. It's also been suggested that one of these proposals could be tacked on to a “must pass” piece of legislation on fiscal cliff issues. (For more on the Federal proposals, see my listing of blog articles below.) As I've said in the past, "it's not over till the fat lady sings" and she ain't sung yet - so anything is possible. Want to revisit the provisions in the Marketplace Equity Act and the Marketplace Fairness Act? See my prior posts here on The State and Local Tax "Buzz" and on SalesTaxSupport.com. Missed my last post? Catch it here: "Massachusetts Joins List of States Offering Relief to Certain Taxpayer Affected by Hurricane Sandy"
This is indeed an informative post about tax free Cyber Mondays. The facts that you have shared are indeed helpful. Thanks for posting.